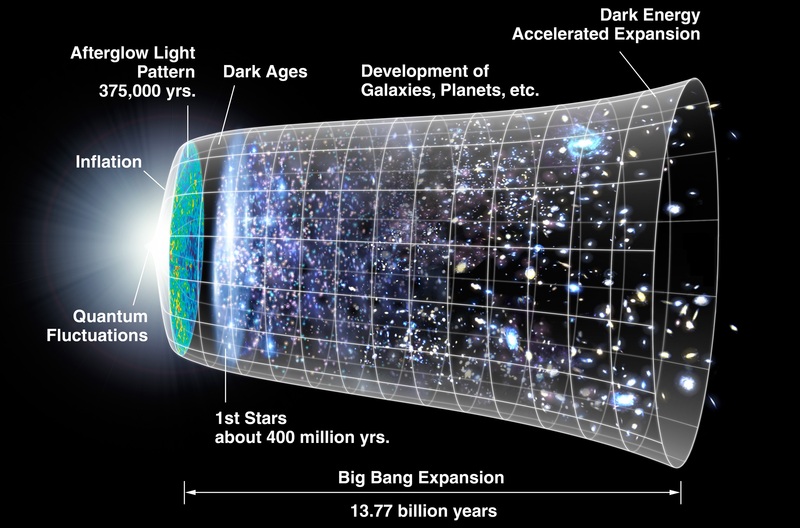 Ideally, atheists would like to imagine that the universe has always existed. Aristotle believed in a Universe existing unchanged throughout eternity. Millennia later, as monotheism waned, this idea became popular again. In the early 20th century the common worldview held that the universe is static — more or less the same throughout eternity. No creator needed. Today however we know that the universe was suddenly created about 13.75 billion years ago. About 4 billion years ago life on earth appeared suddenly . About 530 million years ago many forms of more advanced life appeared suddenly . 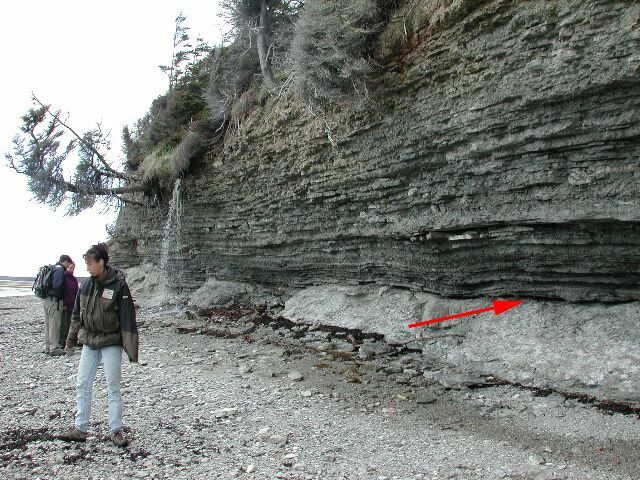 Here is a photo of the Precambrian-Cambrian boundary. About 374 million years ago, there was a sudden transition from early fish to the first true amphibians. Here is photo of the Devonian-Carboniferous boundary. About 252 million years ago, there was a sudden transition from giant amphibians to reptiles and primitive mammals. Here is a photo of the Permian-Triassic boundary. About 200 million years ago, there was a sudden transition from smaller reptiles to giant dinosaurs. Here is a photo of the Triassic-Jurassic boundary. About 65 million years ago, there was a sudden transition from dinosaurs to mammals. 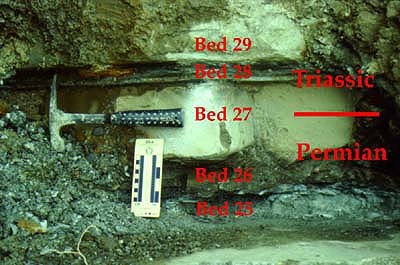 Here is a photo of the Cretaceous–Paleogene boundary. For atheists, this is a nightmare. They now have to deal with not one but eight special creations. In response, they have tried to save their religion by first of all denying that these transitions were really so sudden; they try to interpret the evidence to make them as long as possible, however the evidence seems to be against that. Additionally, they have invented the silly doctrine of punctuated equilibrium. For Judaism, however, as I have explained, I don't think this is a problem. I think these kind of articles are the best of Torah Philosophy. I personally wish to have less diatribe and more pondering. U subscibe to this 13 billion theory?